The so-called “mainstream” media is salivating over the manufactured Trump scandals. They are convinced they are on the verge of collecting his political scalp. But one famed Watergate journalist delivered a message they don’t want to hear. 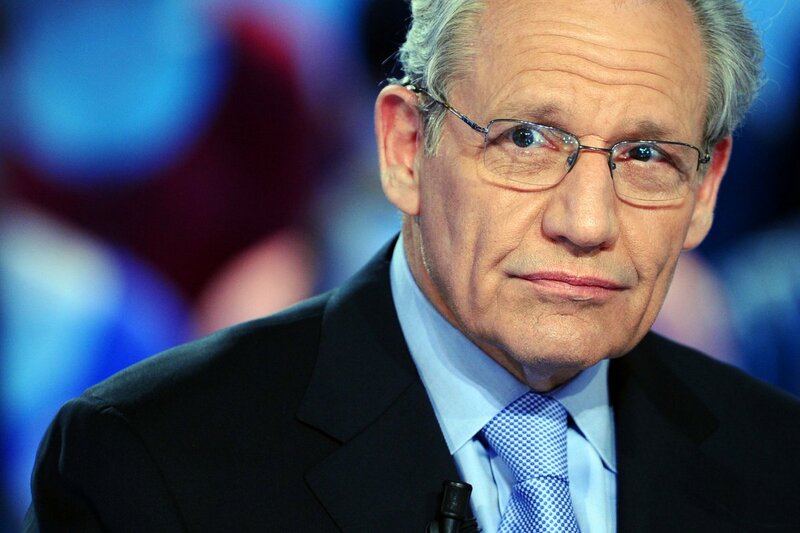 Bob Woodward was one half of the “Woodward and Bernstein” team that reported on Watergate for the Washington Post. Journalists revere them because they established the template for how the media could drive a Republican President from office. Woodward told them to cool their jets and that Trump would serve his full first term and maybe even more. He also ripped the media for their “smugness” which reveals their anti-Trump bias. “Wednesday during an Axios interview, veteran Washington Post reporter of Watergate fame Bob Woodward said the press has a “kind of smugness” about President Donald Trump. So far, all the Trump scandals have amounted to a whole lot of nothing. No one has been accused of a crime. No evidence of any wrongdoing has emerged. And no one has been charged with a crime. The central suspicion — that the Trump campaign colluded with Russia — is collapsing because it was built on a false foundation of zero supporting evidence. But that hasn’t slowed down the runaway media frenzy. Instead, they hype “bombshell” revelations that are fake news or they rehash old stories repackaged with new framing to drive the news cycle. Instead of winning respect, these moves are further alienating Trump supporters. A post-election survey by YouGov found 69 percent of Americans don’t believe the media is honest or truthful. Their blatantly transparent hatred of everything surrounding the Trump administration has not helped those numbers. The Harvard Shorenstein Center on Media, Politics and Public Policy studied the coverage of Trump. CNN and NBC were found to have aired 93 percent negative coverage of the new President. It’s all driven by their desire to undo the 2016 election and steal Trump’s victory from the voters. But Bob Woodward — who knows a thing or two about running a Republican President out of office — threw cold water on the impeachment fires the media is scheming to stoke.